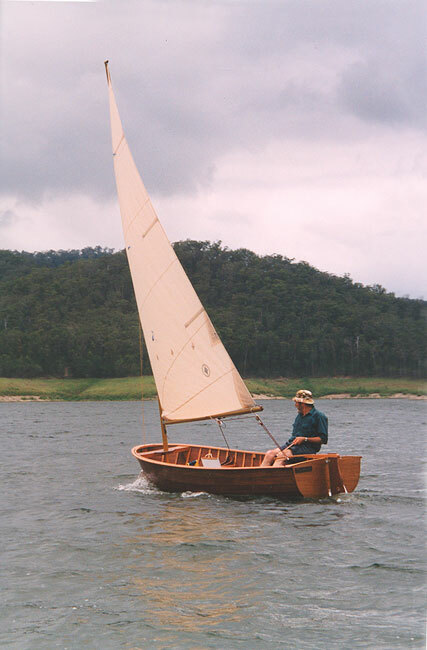 Jim Inglis wanted a boat he could carry on his car while traveling around Australia with his camper trailer. 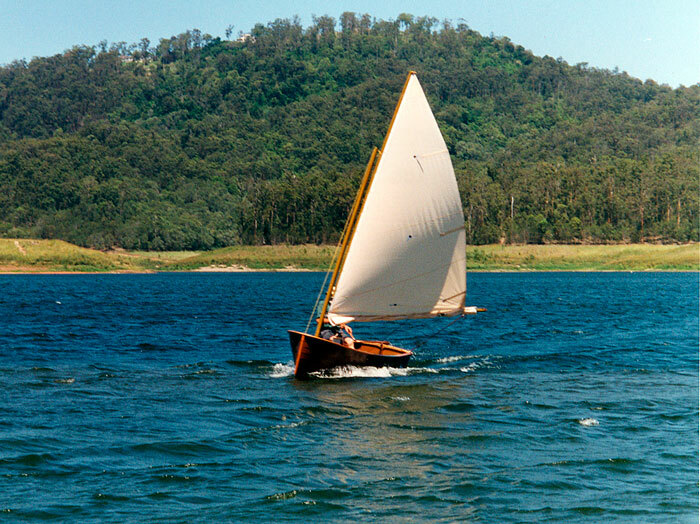 He wanted a light, responsive boat capable of crossing open water, yet maintain a traditional look. 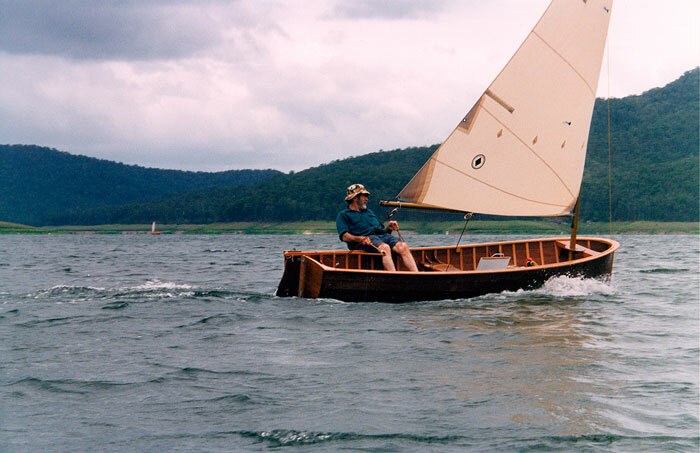 He designed and built TOM THUMP to meet these requirements - LOA 11'11", beam 4'3", and weight 120 lbs. The name and idea comes from TOM THUMB, a cockleshell that George Bass and Mathew Flinders used to explore the coast around Sydney in the early 1800's. He use Pacific Maple plywood which he covered heavily with epoxy, and hopes the combination will be enough to make his boat 'crocodile-proof'. Contact Jim at rosnjim@bigpond.com.